EXECUTIVE SUMMARY: The Locker Committee called in its July report for significant reforms in the IDF’s budget. The 77-page document was dead-on-arrival. External probes like the Locker Committee are a poor substitute for rigorous internal staff work and for tough governmental decision-making. The IDF budget review commission headed by Maj. Gen. (res.) 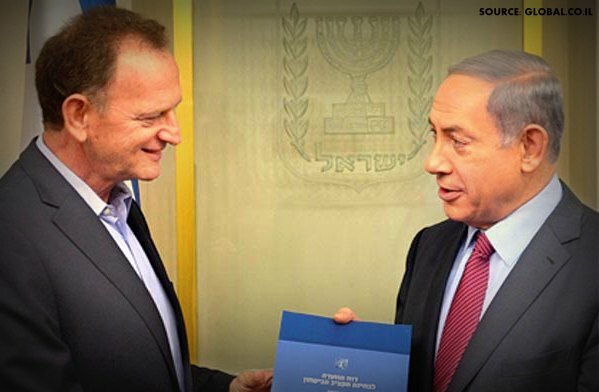 Yohanan Locker, Prime Minister Netanyahu’s former military aide, proposed “efficiency reforms” that could be reinvested in the IDF budget totaling NIS 9.6 billion per year between 2016 and 2020, while advocating growth of the IDF budget to NIS 59 billion. The IDF opposed the reforms, and says that it needs NIS 61-64 billion annually to cover expensive challenges in the cyber, missile defense and precision weapons arenas. The lifespan of the Locker Committee Report was extremely short, shorter even than other reports of a similar nature; essentially dead-on-arrival. Presumably, even if some of the report’s recommendations are revived at some state, this dismal outcome was not what the committee’s instigators had in mind. Or perhaps was it? In any case, there is certainly a question to be asked as to whether a committee of this kind is in fact a suitable framework for examining, and making recommendations on, issues relating to the defense budget and its composition. The Locker Committee Report refers to no fewer than five previous IDF budget review committees (“main” committees, as the report puts it, to make clear that there were others too) whose findings and recommendations have been shelved—all within the last ten years, and all related to the defense budget. To these we can add other committees addressing important civilian issues which have suffered a similar fate. Indeed, time and again the facts show that ad-hoc committees, with members appointed from outside rather than within the government bureaucracy, achieve nothing. This is true no matter how respected, talented, and experienced the committee members may be, and however accurate their analysis and logical their findings. Veterans of the political establishment quote Moshe Dayan as saying that David Ben-Gurion saw committees as elegant “coffins” for topics he wanted to take off the public agenda. He, Dayan,would only appoint a committee once he had made up his own mind on the subject; the committee would support his view and provide justification for his chosen policy. On the face of things, present-day committees seem to be no different. If not exactly a way of burying the problem, committees enable leaders to buy time, deflect pressure, and delay complex decisions. Appointing a committee creates the appearance of something being done, even if its recommendations are never actually implemented. If those who convene it have a preferred course of action, then a committee—whose members can be chosen to ensure conformity and to lend prestige (whether deserved or not)—can be a means for garnering support. However, as in the past, no one really expects committees to propose something that hasn’t previously been considered. Leaders make use of committees for various secondary “advantages” they confer, and not necessarily because they offer the promise of better policy or decision making. However, the fate of committees is decided by more than just the hidden intentions of those who appoint them. The large number of committees whose reports have been archived raises the suspicion that there is something wrong with the tool itself. Ad-hoc committees, comprising members from outside of government, suffer from inherited deficiencies, and in many cases are simply not a suitable framework for examining the issues under their purview and making recommendations on them to government. We cannot seriously expect that a group of external individuals, whose daily work—and in many cases, whose expertise—lies in different fields, can within a limited time frame uncover previously unknown data, or use familiar data to create some new perspective, or analyze an existing perspective and reach meaningful insights that have never occurred to those involved on a day-to-day basis. Ad-hoc committees are entirely dependent on the raw and processed data provided by the bureaucrats working in the field. Being introduced to this information for the first time, committee members are readily influenced by the way in which it is presented, which of course is not free of bias, and can be flummoxed by contradictory data and facts about which there is no agreement. Thus when it comes to collecting data and establishing facts, without which no evaluations, conclusions, or recommendations can be reached, external committees have no added value whatsoever. The Locker Committee Report demonstrates some of these weaknesses. In its description of the planning process for the defense budget, and in the chapter referring to outsourcing of tasks, for example, and elsewhere—the report presents so-called “discoveries” which are no more than a collection of facts known for decades to anyone familiar with the subject. Subsequently, these “discoveries” form the basis for recommendations that, in the committee’s opinion, describe a new path, whereas in fact the majority of them have been on the agenda at some stage or another in the past. For the committee members this all may well have been news, perhaps even surprising news, because their previous acquaintance with the issues was superficial. The inferiority of the external committee is also evident in another context. The internal staff work shared by all those involved in a particular field creates a dynamic that helps reduce disagreement and bridge gaps. In order to function, consensus must eventually be reached. External committees, on the other hand, create the opposite dynamic. They offer a platform for the strident presentation of opposing views, and encourage the various sides to entrench themselves in opposition to one another. Thus internal decision-making and work processes have a better chance of formulating paths of action that are more feasible politically and bureaucratically, while external committees result in recommendations that are difficult to implement. Ad-hoc committees of external members are also misaligned with the principle of matching authority and responsibility. External committee members, who doubtless have the best of intentions, bear no responsibility for implementing the recommendation, or for the outcomes that may result. This fundamental fact can influence the committee’s conclusions and recommendations. With the same factual foundations, the conclusions and recommendations of one who has no responsibility for implementation and results will be different from those of one who does carry that responsibility. This is similar to the concept of “moral hazard” familiar from other subject areas. For example, people who are insured tend to expose themselves to risks that those who are uninsured will avoid. In our context, this is not necessarily about recommendations that present greater risk, but mainly about proposals that have a low probability of being implemented. Or in other words—less practical proposals. The Locker Committee Report, for example, recommends making fundamental changes to the involvement of the National Security Council (NSC) in defense budget planning and oversight. The budget and work plans should not be discussed in cabinet until they have “passed” the NSC, the Locker Report recommends; the NSC should be required to authorized any project costing above a certain amount; and the NSC should even be involved in approving additional personnel for IDF units. The practical implication is that the defense establishment and the Ministry of Finance, themselves hugely powerful institutions, should bring their disagreements to the NSC, a staff function by its nature, for it to serve as mediator and adjudicator. This is not a reasonable prospect, and thus there is little chance of these recommendations being implemented. The Locker Committee also assigns great importance to the outsourcing of tasks to civilian bodies, and rules that any non-operational task that is not part of the IDF’s core defense activity should be outsourced immediately. The committee even emphasizes that outsourcing should not be conditional? on the possibility of restoring the task to the IDF at some stage in the future. This is a far-reaching and extreme recommendation that has in the past, as it does today, aroused immense opposition—some relevant, some less so—and one that is also very unlikely to be implemented. In short, there are steps that it is possible (and perhaps necessary) to take in order to improve the public budgeting process in general, and in particular the process of deciding the defense budget. Appointing external committees is not among them. Committees are a poor substitute for staff work and for governmental decision-making procedures. Committees complete their task when they present their report, and their members then move on. In this they enjoy a privilege not given to those who then have to get the work done. In truth, the idea of appointing an external committee to make recommendations on the size and composition of defense spending —with the first case, the Brodet Committee, following the Second Lebanon War—has unclear origins. There has always been a lack of agreement on the issue between the Ministry of Finance and the Ministry of Defense, and the issue was always decided by the prime minister and the government, without recourse to an external committee. When it comes to committees designed to propose to government courses of action on civilian matters (for example, the Trajtenberg, Elaluf, or Sheshinsky committees, among others), there may perhaps be good reasons for including members from outside government. These committees mainly dealt with subjects in which the public—households and companies—are directly involved. This is not the case with the Locker Committee (and the Brodet Committee before it), which was asked to settle an internal disagreement between two government establishments. The choice between providing a reasonable response to national security threats and allocating resources to promote socioeconomic goals is not a simple one, but it cannot be ducked by handing the “hot potato” to a committee. This choice is the sole responsibility of the elected political echelon; it is a responsibility that elected representatives must take on. Dr. Yaacov Lifshitz, a senior research associate at the Begin-Sadat Center for Strategic Studies, has served as the economic advisor to Israel’s Ministry of Defense, as director general of the Israel Ministry of Finance, and as chairman of the board of directors of the Israel Military Industries (IMI). He is the author of Defense Economics: The General Theory and the Israeli Case, and teaches in the departments of economics and of public policy at Ben-Gurion University of the Negev. This article was first published at BESACenter Website, October 22, 2015 and is republished on IndraStra.com with Original Publisher's Permission. All Rights Reserved by BESA Center.